(CPJ)- Nairobi, February 21, 2018--Somaliland authorities should immediately release Mohamed Aabi Digaale, the Hargeisa bureau chief for the London-based broadcaster Universal TV, the Committee to Protect Journalists said today. Police arrested Mohamed on February 17 and have been holding him without charge, Guleid Ahmed Jama, chairperson of the advocacy organization Human Rights Center, and Abdullahi Hersi Kulmiye, the East Africa director of Universal TV, told CPJ. Authorities on February 19 brought Mohamed to court, where he was remanded to the Counter Terrorism Unit for seven more days while investigations continued, Guleid and Abdullahi told CPJ. Mohamed was relocated today to Hargeisa's central police station, Guleid said. 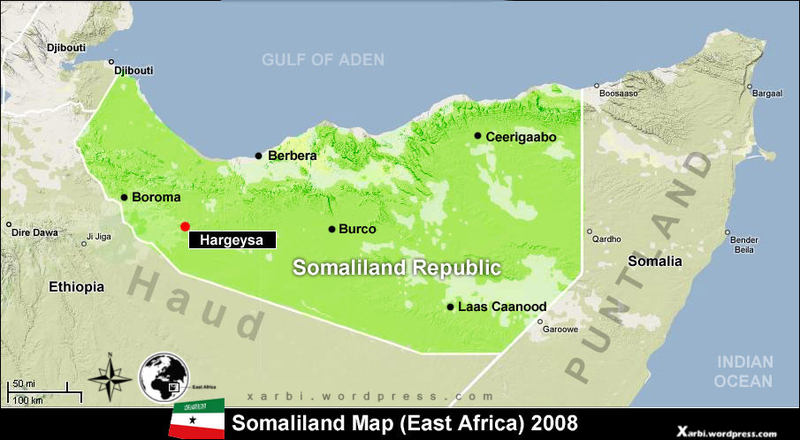 Guleid and Abdullahi separately told CPJ that Mohamed's arrest was likely related to a February 2 story another Universal TV journalist published about conflict in Somaliland's Sanaag region. Guleid said that some of the people interviewed for the report complained about police conduct in quelling regional violence. "The arbitrary arrest and detention of Mohamed Aabi Digale, simply because authorities dislike his TV station's journalism, is outrageous and a violation of justice" said CPJ Africa Program Coordinator Angela Quintal in New York. "Somaliland should immediately free the journalist without charge and allow him, as well as his Universal TV colleagues, to work without fear of retaliation." Somaliland's deputy police commissioner, Abdirahman Liban Fohle, on February 17 told journalists that Mohamed was arrested because the station had aired a report that was damaging to police, according to a video posted online that was translated and summarized for CPJ. CPJ was unable to determine if Abdirahman was referring to the February 2 story. Abdullahi and Yahye Mohamed, executive director of the Somaliland Journalists Association (SOLJA), told CPJ that Mohamed had previously written a letter to the Information Ministry apologizing for the February 2 story. Somaliland's information minister, Abdurrahman Abdullahi Farah, referred CPJ to a ministry spokesperson, Yonis Ali, for comment. Yonis today told CPJ that police informed the Information Ministry that Mohamed's arrest was not related to his journalism, but to security matters. Yonis declined to elaborate on the nature of the security issues, but said that the controversy associated with the February 2 broadcast had been resolved after the ministry received the apology letter, contradicting Abdirahman Libaan Fohle's February 17 statement. Abdirahman, the deputy police commissioner, referred CPJ to the police commissioner Abdillahi Fadal Iman for comment. CPJ's attempts to reach the commissioner on his mobile phone were unsuccessful, and he did not immediately respond to a text message from CPJ today. Mohamed's arrest is the latest case in a deteriorating and hostile environment for the press in this semi-autonomous region of Somalia. CPJ has documented at least five cases of journalists who were detained in connection with their work in Somaliland since September 2017. During the elections in November 2017, authorities also shut down social media sites.